Georgetown Premed compared to others.. Replies to: Georgetown Premed compared to others..
Georgetown's pre-med is not as good as Hopkins. It isn't terrible but hopkins is one of the really good ones. In terms o comparison, I might note that Hopkins has a reputation for a rather cuthroat atmosphere, where Georgetown is more collaborative. I've heard this about all programs here, but pre-med especially. Of course, not being pre-med, you can take my words with the appropriate dose of salt. You can major in anything you want, from English to Biology to Finance, and apply to medical school, as long as you complete the above requirements, as well as take the MCAT. Johns Hopkins is known for pre-med because it has a large percentage of students that ARE pre-med, especially compared to schools like Gtown. Schools like Johns Hopkins also have larger science departments, so you'll find a larger amount of course offerings in the sciences. Simply, JHU is known for science, Gtown isn't. That doesn't make its programs bad. Look at statistics among the schools on the percentage of students accepted to medical school. 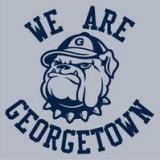 Georgetown has a very high percentage, and that's all that matters. Also remember that these percentages are of the students that actually end up applying, b/c a good number of students drop pre-med after freshman and sophomore year, at all schools. Gtown (both NHS and the College) has an Early Assurance program with Gtown Med School, where if you complete the pre-med requirements by the end of your sophomore year, you apply to that program, and if you have great grades, activities, etc., you can get early admittance to the med school, don't have to take the MCAT, etc. This also frees up your senior year to do other things than apply to med school, esp. if Gtown is your top choice. I've commented many times on the Human Science program. It really is a very unique program among top schools. As a Human Science major, you study biology with a focus on humans, which is what you're interested in if you're pre-med. You'll take all the nursing science courses which'll give you a preview of med school classes, such as Human Biology I and II (Anatomy and Physiology), Pathophysiology, Pharmacology, and Microbiology. You'll then take more advanced science courses, such as Immunology, Disease Genetics, Biotechnology, etc. You'll also have health studies courses in there, such as Health Promotion and Disease Prevention, Human Growth and Development, etc. You'll have access to the newest undergrad molecular lab on campus (until the new Science Center is complete), the NHS Discovery Center. Faculty are really great about providing research opportunities, and these are typically one on one, due to the small nature of NHS, which is an asset. You'll also have access to GUS, the NHS patient simulator. You'll first use him freshman yr, in Human Biology, where you'll study EKGs (heart rhythms). So Human Science is a VERY rigorous program with courses and opportunities that you simply won't find at most other schools, including Johns Hopkins. And yes, JHU has a rep for being cutthroat in pre-med, and I've heard this from actual JHU students. Georgetown is the complete opposite. Students work together studying, faculty hold study sessions, NHS science courses have student tutors, etc. It's a really great environment to study science. While you might not have a large pre-med/science support system that you might find with the large amount of such students at JHU, there's still over 100+ pre-med students @ Gtown, plus all the other non-premed science majors. Gtown will give you a well-rounded experience, not overly focused on science (b/c that's what you'll be doing forever after you graduate!) but still offering unique, stimulating, rigorous courses in relevant material. Jason- You said that the pre-med atmosphere is very collaborative. Does this extend to the student body at large? I am used to a great community of students that all help each other. Even the smallest project/assignment/test requires a study group. lol, maybe it's just because we like to hang out. I would love to have a noncompetitive environment in college. Hearing about the sabotaging and cut-throat academic life at other schools scares me. yes i really did notice the same atmosphere in most of my classes. People would email the class if they missed a lecture and needed notes, things like that. I'm sure there are a few cutthroat people, but I really didn't have a general cutthorat experience in any of my classes. One story that a Gtown grad student/JHU alum told me was that a student would ask someone else to hand in their homework, and if it was good, the other student would write their name on it. Hilarious. I'm sure this isn't as rampant as people make it out to be, but you really won't have to worry about this at Gtown. To counter Sophomore12's comment, the NHS does NOT have a better pre-med program than the College simply because it's the same pre-med. Pre-med students in both schools take the same med school prerequisites (which, btw, are all through the College) and apply through the same advising system and Recommendation Committee. Yes I do agree that technically that COL premed and NHS premed is the same, so please let me clarify. Within the NHS, a student can get a more relevant premed education than in the COL. For example the Human Science major, students take coures like human bio, genetics, immunology, biotechnology, microbiology, pharmacology and pathophysiology. There is a general consences that NHS majors are more relevant and preps one better than a bio/biochem major in the COL.
yes NHS Human Science courses are relevant to med school courses, as you'll be learning material that's found in med school (at a more intense level). This is a positive for most, and a negative for some, as obviously you'll have to relearn the material. Also, just a correction, NHS pre-med students take the same pre-med courses as College students except for the Biology requirement. NHS allows for the Human Biology I and II courses to substitute for the General Biology I and II requirement. Med schools do accept this, though you'll have to study a little extra material for the MCAT, such as evolution, as this isn't covered in Human Bio (which is a human anatomy and physiology sequence). It works out fine (one person that just graduated in May is at Harvard Med of all places). Also if you apply to the Early Assurance Program, NHS and the College have separate committees for that. General med school recommendation goes through the same committee though, as said above. As far as preparation, Human Science is great if you want a preview of what med school subject matter is like. You get the Anatomy, Physiology, Microbiology, Molecular Fundamentals, Health and Disease Genetics, Immunology, Pathophysiology, Pharmacology, Nutrition, Health Promotion, and Human Growth and Development. It's great if you don't mind having to relearn most of this material. It'll give you a headstart in medical school, as you'll know HOW you'll need to memorize all those bones, muscles, etc. in anatomy, for example. On the other hand, realize that some of the courses can be found in some form in the College. The College has Genetics, Microbiology, Immunology (Immunobiology), and Comparative Anatomy and Mammalian Physiology. However these courses are not focused on the human, so you'll learn about the anatomy of non-human animals, or non-medically focused microbiology, or the genetics of the lac operon in E. coli. The Bio department's goal is to train undergrad level General Biologists, not Human Biologists or Human Physiologists like Human Science. It's all a matter of preference. And that's what it boils down to. Major in what you want, it doesn't matter. NHS will provide you with cool health related opportunities that the College won't (patient simulator being a really cool one), but that won't matter if you wanna focus on Linguistics say, and then focus on medical subjects IN medical school. Also note that Human Science is REALLY hard, so you really have to like it to do well in it (look up Dr. Angerio on ratemyprofessors.com. I hear he may be retiring soon so you may escape him). Wow, this thread is very helpful. Thanks. a very small number do Nursing-pre-med, which NHS allows (the people i've seen that do this are usually either people that are deciding b/w nursing and medicine, or people that want clinical exposure and skills that nursing offers). I want to apply to Georgetown but im unsure which school to apply to, the college or the school of nursing and health studies. I know both schools have the same premed but the NHS has more relevant classes in terms of med school. But im really good at chemistry and im worried that the NHS is too much bio. I know i obviously need to take bio, but I want to focus on chemistry for my premed. So does anyone have any suggestions of whether i should just do biochem at georgetown or should i do the NHS as a human science major?